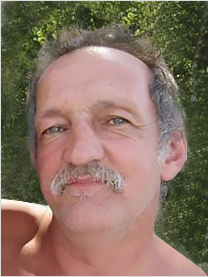 Gary E. “JC” Greenhalge, 58, of Lowell passed away Saturday September 15, 2018 at Lowell General Hospital after a brief illness. He was the loving husband of Darlene (Palmer) Greenhalge with whom he recently celebrated their 33rd wedding anniversary. Born in Lowell, Massachusetts, January 29, 1960, a son of the late Carroll F. and the late Ethel L. (Collins) Greenhalge, he attended Lowell Schools and was a graduate of Greater Lowell Technical High School. Prior to his illness, Gary was a painter for several painting firms including Advanced Painting. Previously he worked in the printing business in Greater Lowell. Gary had many interests. He was a passionate fan of all New England sports teams, Led Zeppelin, Dale Earnhardt and NASCAR. Besides his wife, Gary is survived by his two sisters Brenda Secore and her husband Ronald of East Greeenbush, NY and Amber Greenhalge and her husband Harry Craven of Litchfield, NH; four brothers Hugh Greenhalge and his wife Patricia of Manchester, NH, Bruce Greenhalge and his wife Joan of Allenstown, NH, Lemmie Greenhalge of North Andover, MA and Bailey Greenhalge of Dracut, MA. Gary especially loved all his many nieces, nephews, godchildren and dear friends. He was also the brother of the late Carroll, Robert and Frederick Greenhalge. Relatives and friends are invited to attend his calling hours Thursday evening at the O’DONNELL FUNERAL HOME 276 PAWTUCKET ST. in Lowell from 4 to 6 P.M. Thursday followed by his Funeral Service at 6:00 P.M. in the Funeral Home. Committal Services will be held at a later date. E-condolences/directions at www.odonnellfuneralhome.com. Arrangements by Funeral Director James F. O’Donnell, Jr. (978) -458-8768. Darlene, It was with great sadness that I learned of Gary’s passing. Please accept my heartfelt condolences and I hope that in a small way they help through these trying times.